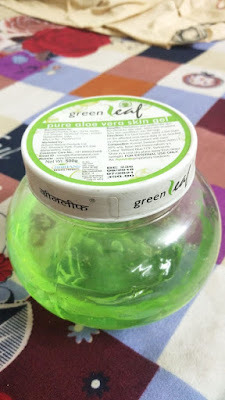 Today i am going to review patanjali aloevera gel,This was the first aloevera gel which i bought. Ingridients: 90/: aloevera,added color,preservatives and vitamin E.
My expirence with this aloevera gel is quite okay,It is just a good mosturiser for summer,Those who are looking for very pure aloevera,So this product is not for you because it contains added colors and preservatives. 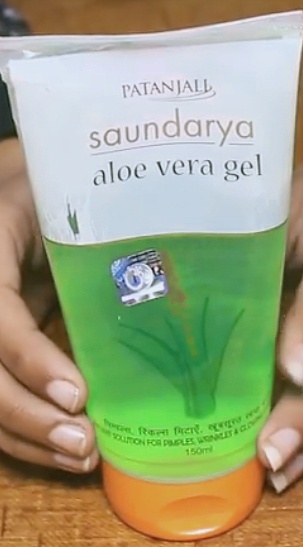 As in this aloevera there is vitamin E,So some people's skin don't react well with vitamin E on skin,It can cause irritation ,So sensitive skin people should do patch test before using. It is an excellent mosturiser,It calims to work on acne and pimples but i have seen no change on my acne or skin texture. As i have a sensitive akin,so this aloevera gel din't suits me well. 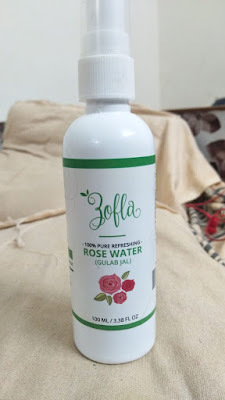 Yes it gives soothing effect on skin.